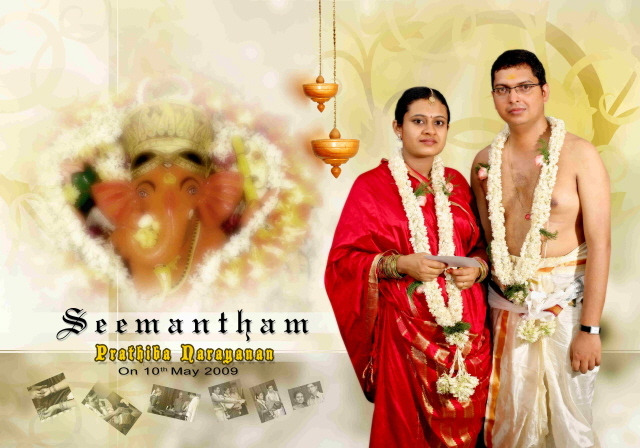 On 10th May 2009, the Seemantham of Pratibha Narayanan, wife of my cousin Narayanan Subramaniam, took place at Ernakulam, Kerala. Pratibha and Narayanan were married since 8th February 2007. Seemantham is a ritual performed while a woman carries in her womb her first child. Our congratulations to both Pratibha and Narayanan and we wish them to beget a healthy child.